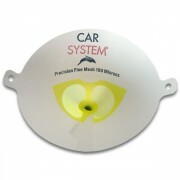 CarSystem Top Tape CARSYSTEM TOP TAPE masking tape TOP TAPE - masking tape APPLIANCE Standard masking tape for paint shops. CHARACTERISTICS Temperature resistant up to 80 °C. ..
Multi Strain Paint Strainer Available in 3 packs - 10 st, 100 st and 500 st APPLIANCE Disposable strainer for filtering all paints and lacquers - 190 µ. CHARAKTERISTICS Paper funnel with a nylon filter. ..
Paper Trolley APPLIANCE Paper Trolley is a mobile dispenser for 3 rolls of masking paper. The widths of the papers are maximum 22, 60 and 90 cm. 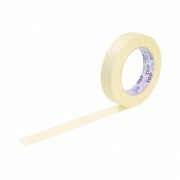 Paper Trolley is supplied with an adjustable tape-roll-supply, which automatically puts the masking-tape onto the edge of the masking paper. P..